THE trusted source of information for a successful Walt Disney World vacation. 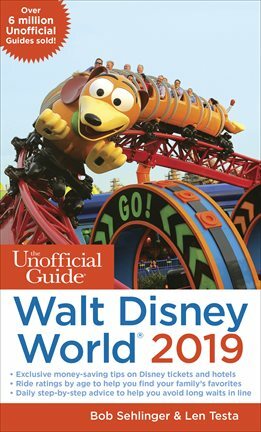 Compiled and written by a team of experienced researchers whose work has been cited by such diverse sources as USA Today and Operations Research Forum, The Unofficial Guide to Walt Disney World digs deeper and offers more than any other guide. The Unofficial Guide to Walt Disney World 2019 explains how Walt Disney World works and how to use that knowledge to make every minute and every dollar of your vacation count. With advice that is direct, prescriptive, and detailed, it takes the guesswork out of travel by unambiguously rating and ranking everything from hotels, restaurants, and attractions to rental car companies. With an Unofficial Guide in hand, and authors Bob Sehlinger and Len Testa as guides, find out what's available in every category, from best to worst, and use step-by-step detailed plans to help make the most of your time at Walt Disney World.